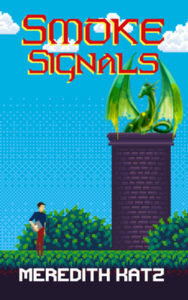 Meredith’s latest book, Smoke Signals, a charming M/M novella featuring a haughty dragon and a very tired CS rep, releases tomorrow! 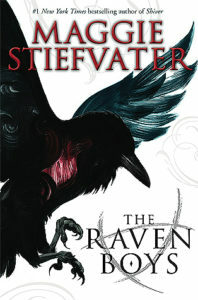 You can get it from her publisher, Less Than Three, for 15% off up until the release date. Mike St. George figured that working customer support during the Black Friday sale at SmokeSignals, a game distribution company, would just feature the usual sort of problem customers. He wasn’t expecting an aristocratic, self-centered dragon to demand the company send someone to his house to install games in exchange for gold. And he definitely wasn’t expecting that to somehow put him in charge of working with and protecting the digital side of the dragon’s hoard of games. But with a possible promotion in his future, Mike’s ready to take on anything. And while the blue-blooded Zali’thurg might be egotistical and prideful, Mike’s wrangled worse customers on a regular basis. At least this one’s cute, albeit in an ‘apex predator’ sort of way. It’s geeky and cute, with a totally useless lizard and a super sweet ending. 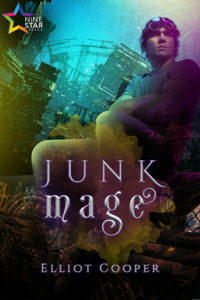 You can read early reviews over at Goodreads! Description: Danny is a clock mechanic, tasked with keeping the world’s clocktowers running in an alternate Victorian world. These clocktowers literally keep time: if a town’s tower is broken, time around it grows out of sync, or may even stop entirely, trapping those inside its influence in an infinite loop. 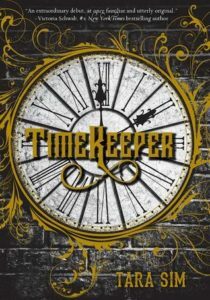 When a series of bombings starts attacking clocktowers around England, Danny urgently works to solve the mystery, alongside a mysterious clock spirit that he becomes very invested in protecting. Content Warnings (highlight to read): Deals with societal & familial transphobia. Some death & violence but not graphic. 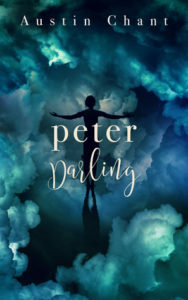 Description: A sumptuously gorgeous re-imagining of Peter Pan where the fairies are all the more strange and where Neverland—and your identity—is what you decide to make of it. Enemies-to-lovers Peter & Hook: if this is automatically selling point, great, you won’t be disappointed. If it makes you raise your eyebrows: trust me, the storytelling, characterization & development is so deftly woven that you also won’t be disappointed.